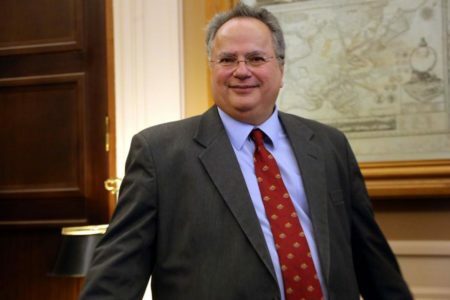 BRUSSELS (ANA/ C. Vasilaki) The missions of the institutions will be back in Athens on Tuesday with the aim to reach a staff-level agreement within two weeks, sources close to the talks told the Athens-Macedonian News Agency (ANA) on Monday. Both the European side and the IMF consider this a realistic target, following the ‘framework agreement’ emerging from last Monday’s Eurogroup, they said. In order for the mission to be successful, the same source explained, the four mission heads must sign a staff-level agreement with the Greek authorities on, firstly, all remaining prior actions for the second review, including labour market reforms, and secondly, on the package of additional measures for 2019-2020. This package will include ‘austerity measures,’ such as tax and pension reforms, but also the positive measures that will support growth in Greece. Brussels now considers that the conditions are right for an agreement to be reached without any surprises, the sources said. After the agreement in Athens, the Eurozone will then begin negotiations with the IMF to decide on the size of the primary surpluses that Greece must achieve after 2018 and for how long, as well as to arrive at a compromise with the IMF on the medium-term measures for easing Greece’s debt. Those discussions were likely to take longer, according to European sources, but should not cause concern since, during that period, the Greek side must pass legislation for the measures agreed and negotiate a programme with the IMF. The European Commission agreed to the IMF’s demand for legislation in advance, even though it had originally considered that this was not necessary. Since the goal is a comprehensive agreement that does not undermine the Greek economy’s positive prospects, the Commission believes this must be achieved quickly, pre-empting uncertainty in the markets, and must also be such that the further tax and pension reforms do not have a recessionary impact, offsetting measures that increase austerity with measures to support growth. A source close to the talks said the IMF’s intention is to participate in the Greek programme but the problem remains whether the Eurozone will be able to provide the “clarifications” it is demanding on the medium-term measures to ease Greek debt. Officially, the Eurozone has said it cannot provide more details but recent German press reports appear to indicate a slight shift in the German position on this issue, following the meeting between Merkel and Lagarde. The European Central Bank, on its part, has clearly indicated that it will be in a position to buy Greek debt – and allow Greece to join the quantitative easing programme – if there is an agreement with the creditors that also includes the IMF. The ECB will also carry out its own debt sustainability analysis before making any decision and has thus aligned itself with the IMF’s position in seeking clarifications on the proposed medium-term measures for Greek debt. The European Stability Mechanism (ESM) also wants the full participation of the IMF in order disburse the next tranche of loans to Greece. If a staff-level agreement is reached, it will then convene to decide the size of the installments to be disbursed, based on the decisions made by the Eurogroup linking these to the implementation of prior actions. 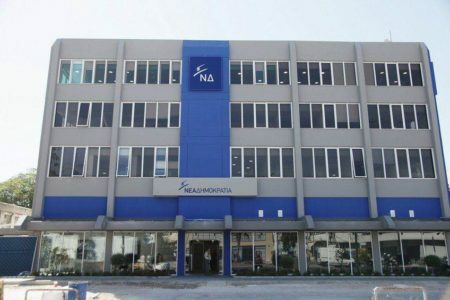 According to information obtained by the ANA, the total loans will be up to 10 billion euros, covering both Greece’s debt repayments and settlement of state arrears, as in the past. European Commission spokesman Margaritis Schinas on Monday said the European Commission welcomes the “understanding” reached by the four institutions last week, which allows their return to Athens. He said some of the mission representatives were expected to arrive on Monday and some on Tuesday.